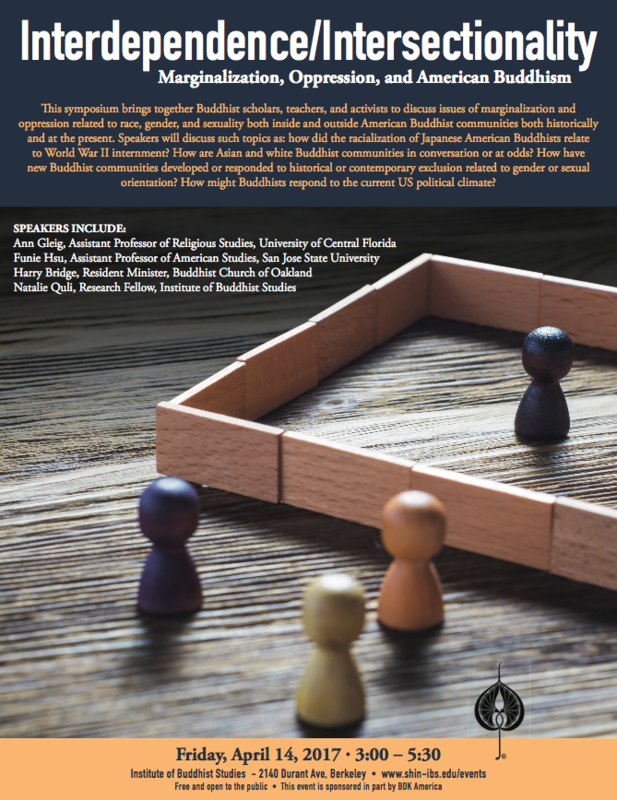 This symposium brings together Buddhist scholars, teachers, and activists to discuss issues of marginalization and oppression related to race, gender, and sexuality both inside and outside American Buddhist communities both historically and at the present. Speakers will discuss such topics as: how did the racialization of Japanese American Buddhists relate to World War II internment? How are Asian and white Buddhist communities in conversation or at odds? How have new Buddhist communities developed or responded to historical or contemporary exclusion related to gender or sexual orientation? How might Buddhists respond to the current US political climate?